This laboratory formulated synthetic, highly concentrated compound has been created to meet modern standards in cleaning. Dishes,glasses,pots and pans,kitchen appliances,leathers,plastics,mirrors and table tops gleam after cleaning with this liquid deteregent. An economical solution of 1 ounce of this concentrated compound in 8 gallons of water will throughly clean glasses, dishes, pots and pans,leaving them sparkling. Soak heavily encrusted pots and pans in this same dilution for a few minutes for amazingly easy result in cleaning them. Apply a few drops of this concentrated compund to a damp, clean cloth or sponge. Wipe stove,refrigerators,table tops,leathers and plastics sparkling clean, without rinsing. Ecofriendly,biodegradable, not tested on animals. 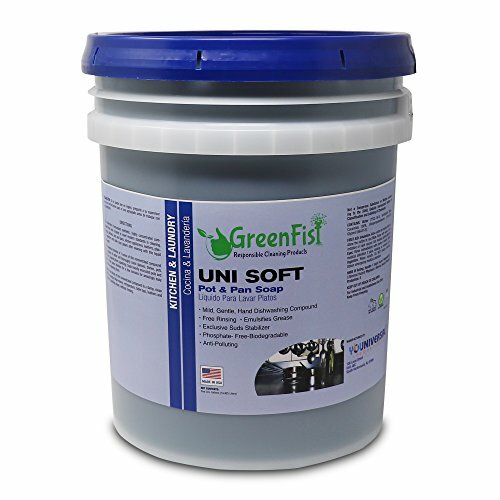 If you have any questions about this product by GreenFist, contact us by completing and submitting the form below. If you are looking for a specif part number, please include it with your message.